Calling all Quilting, Sewing and Fabric crafters in the North Georgia region and surrounding communities! We’re inviting you to join us for our Fall Celebration! If you’ve never visited Blairsville, Georgia, fall is a beautiful time of year to see what you might be missing. Fall season, with leaves changing and weather cooling, is the perfect reason to get outside and plan a visit to Fabrics Galore & Quilting Store in Blairsville GA. Grab your girlfriends, family members or just plan to get into our shop for a chance to win and save. Driving through the north Georgia region this time of year offers a visual feast of beautiful autumn colors and landscapes. 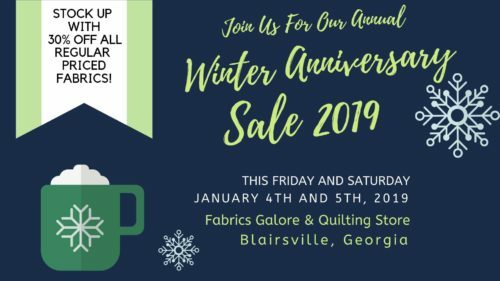 What you’ll find when you arrive at our quilting and fabric shop is lots of fun, shopping and mingling with the regional quilting community for sales and prizes. Goodie Bags with fun gifts inside. One grand prize winner of a gift bag valued at $100.00 Drawing on Saturday end of day. Save on all of our regular priced fabrics, notions and books at 20% off. * Get Fat Quarters for just $1.50 each. 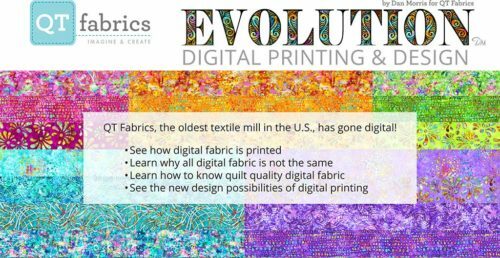 *Excludes sale fabric, software and sewing machines. Minimum one yard cut. Get outdoors, enjoy the crisp fall weather and enjoy the camaraderie of the quilting and crafting community. Get ready for the holiday gift giving season.